It is crucial for aspiring nurses to understand the different pathways available for a nursing career. 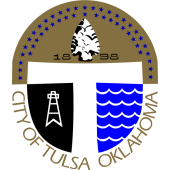 We profile below the key nursing roles in Tulsa, Oklahoma, including the educational requirements and typical pay of each. Although a certified nursing assistant (CNA) holds an entry-level position, the job requires a high degree of responsibility and calls for frequent interaction with patients. Tulsa Community College offers one of the most highly regarded CNA programs in the Tulsa metropolitan area. The median annual salary of the city’s CNAs is $22,350. CNAs can pursue employment with major Oklahoma healthcare providers like Gifted Nurses and St. John’s Medical Center. Oklahoma’s licensed practical nurses (LPNs) work in a wide array of healthcare environments, including nursing homes like Saint Simeon’s Episcopal Home and hospitals like Hillcrest Hospital South. Aspiring LPNs must complete a state-approved certificate or associate’s degree program in practical nursing. All candidates must also pass the NCLEX-PN national licensure examination. Tulsa’s LPNs earn a median annual salary of $38,930. Oklahoma has two pathways for earning licensure as a registered nurse (RN): two-year associate’s degree in nursing (ADN) and four-year bachelor of science in nursing (BSN). Candidates from either pathway must pass the NCLEX-RN national licensure examination. Tulsa has many high-quality options for RN training, including BSN programs at Langston University, Oral Roberts University, and University of Tulsa. The city’s RNs enjoy a median annual salary of $57,520 with local healthcare employers like Saint Francis Health System and Allied Home Health. To help the city’s aspiring nurses choose the right program, we’ve compiled below a complete list of nursing schools in Tulsa, Oklahoma.